There is also a DVD course in youth protection called It Happened to Me. This course is meant to be a training/discussion with the youth members to help them recognize and avoid dangerous situations. 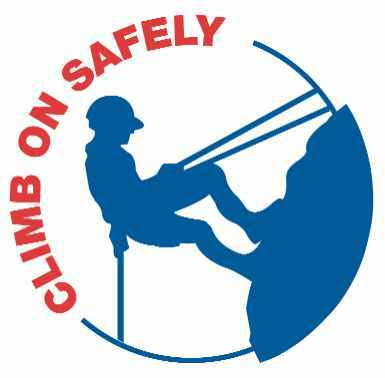 Climb On Safely is the Boy Scouts of America's recommended procedure for organizing BSA climbing/rappelling activities at a natural site or a specifically designed facility such as a climbing wall or tower. Any unit participating in any of these activities must have at least on adult present that as completed the Climb on Safely course. Trek Safely is the Boy Scouts of America's recommended procedure for organizing and carrying out outdoor treks that involve Boy Scouts, Varsity Scouts, and Ventures. Trek Safely applies to all types of outdoor experiences that involve trekking, including hiking, backpacking, canoeing, horseback riding, caving, rafting, kayaking, sailing, ski touring, mountain climbing, and mountain biking. Den Chief Training is for Den Chiefs, Cubmasters and all others interested in understanding the important leadership role of a Den Chief within a den. It is full of fun, excitement, and information to help den chiefs do a good job. Den Chiefs are an older, experienced Boy Scout, Varsity Scout or Venture aged youth who assists the den leaders and pack leaders as required. National Youth Leadership Training (NYLT) National Youth Leadership Training is a week-long leadership skills course for young men who have been elected by members of their Troop to serve as Patrol Leaders, Senior Patrol Leaders or other youth leadership positions. This course, taught by youth for youth, focuses on the fundamentals of good leadership, such as skills of motivating people, communication, identifying and using resources, and problem solving. Skills related to planning, effective teaching, and sharing leadership are also presented. Youth must be a registered scout, who has been elected to a leadership position in his troop/crew. Boy Scouts must also be at least 13 years old and have completed the first class rank. Venturers and Sea Scouts must be 13 and completed the eighth grade through age 20. -To have fun while learning! Click here to Download all the NYLT Documents needed after registering.